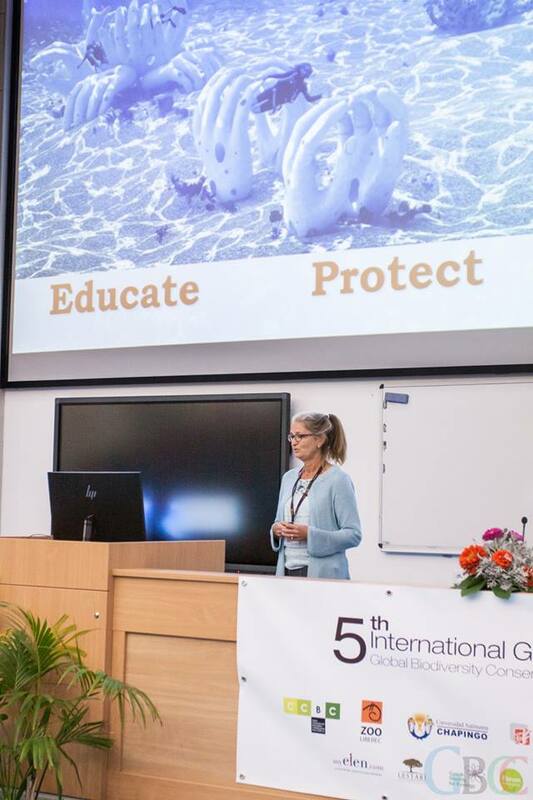 On September 25th and 26th I attended the GBCC conference in Prague to give a presentation on CoralGardening and coral reef restoration techniques. 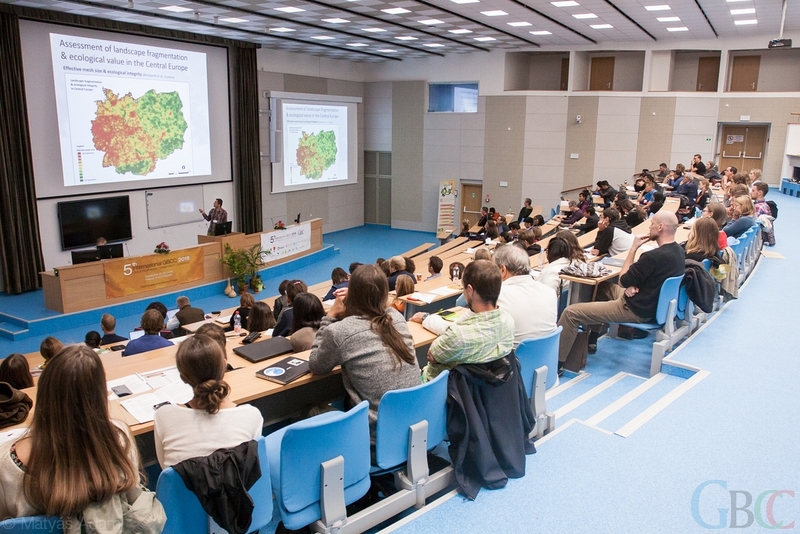 GBCC is the Global Biodiversity Conservation Conference organised by the University of Life Sciences in Prague. 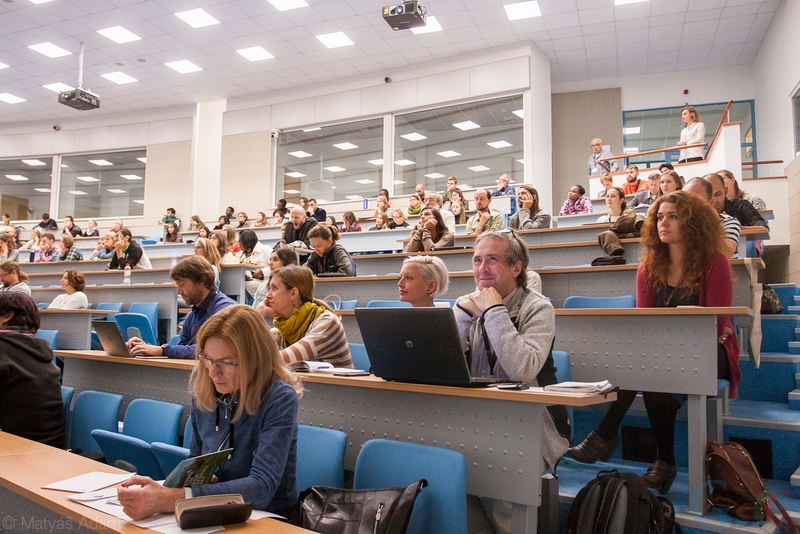 It was held for the 5th time, previous conferences were besides in Prague also at collaborating universities in Mexico (2016) and Indonesia (2014). Ingrid gives a presentation at the GBCC in Prague. The presentation of CoralGardening was remarkable in the sense that it was one of the few about marine conservation. A lot of topics were about forest conservation and terrestrial wildlife. The themes of this year’s GBCC were really interesting: day 1 was about human transformation of ecosystems and its effect on biodiversity (in temperate and tropical regions); day 2 was about wildlife crime; and modern technologies in biodiversity conservation (remote sensing, drones, telemetry, night vision camera’s). Although the 3D printing of an artificial coral reef would have well fitted the latter theme, CoralGardening was invited to give a presentation in the afternoon at the 1st day, as part of the theme human transformation of tropical ecosystems. The invitation came from a network contact of Vera, and I was asked to go in her place. Presentation at the GBCC 2018 in Prague. For me an honour and very nice to do, as I have some experience in speaking and attending conferences with my background in applied science and tropical marine ecology. Besides representing the work of CoralGardening I included a summary of scientific knowledge on coral restoration techniques based on lessons learnt of other projects worldwide. My aim was to get in touch and share knowledge with other participants of GBCC, by addressing our own research projects and the research questions and needs we have. As mentioned there were few marine conservationists, one speaker was working with turtles in Cape Verde. I did establish contacts with Czech people who apply genetics in their work, which is definitely a hot topic and more and more applied in conservation projects to give insight in the DNA of an individual, which provides information about population structure or species evolution. In coral restoration it is promoted as a means to establish a resilient artificial reef which has genetic variability. This makes a coral reef more resilient to threats than a monoculture, as one genotype will be more resistant to for example disease than another. The DNA of the photosynthetic algae (zooxanthellae) living in the tissue of coral polyps is also important, as it determines their resilience to the major global threat: coral bleaching. Although it is not at all easy nor cheap to establish genetic research, it is worthwhile to investigate and consider incorporating genetic sampling in the mobile lab project of CoralGardening. Audience listening to a presentation. For me it was inspiring to attend this conference and to dive into scientific papers. If you are interested to learn more, please have a look at the program and presentations at the GBCC website.